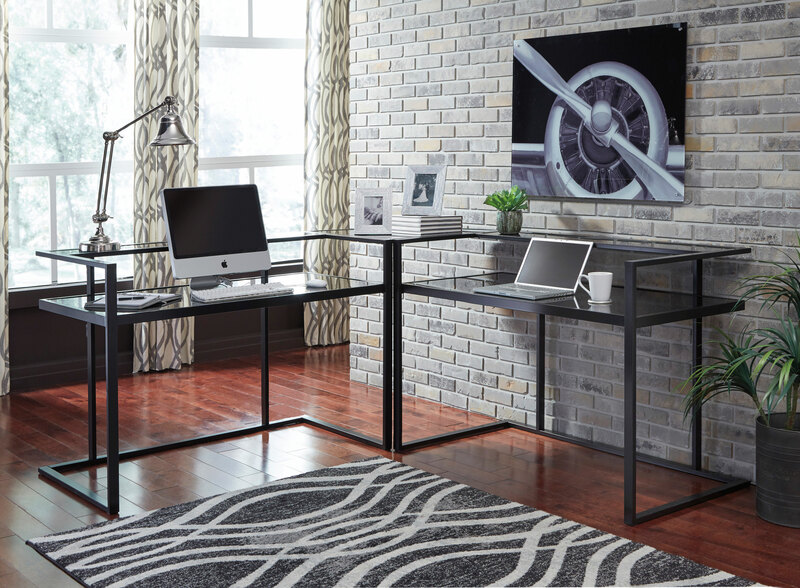 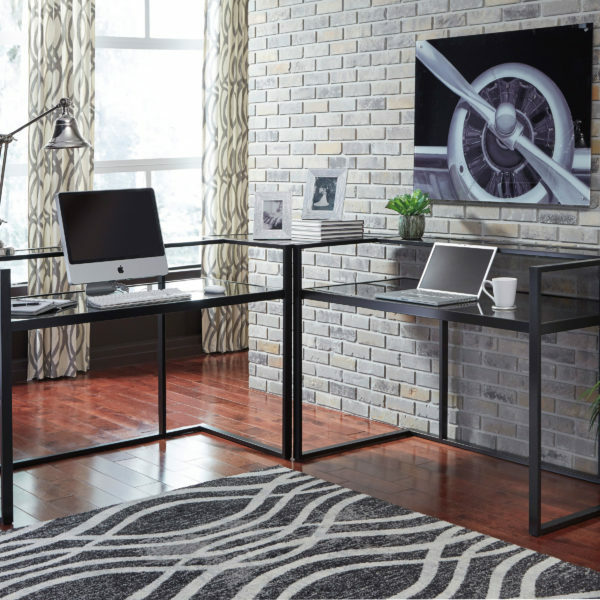 We hope you will enjoy using this nice Corner Desk with a Two-Tiered Design. 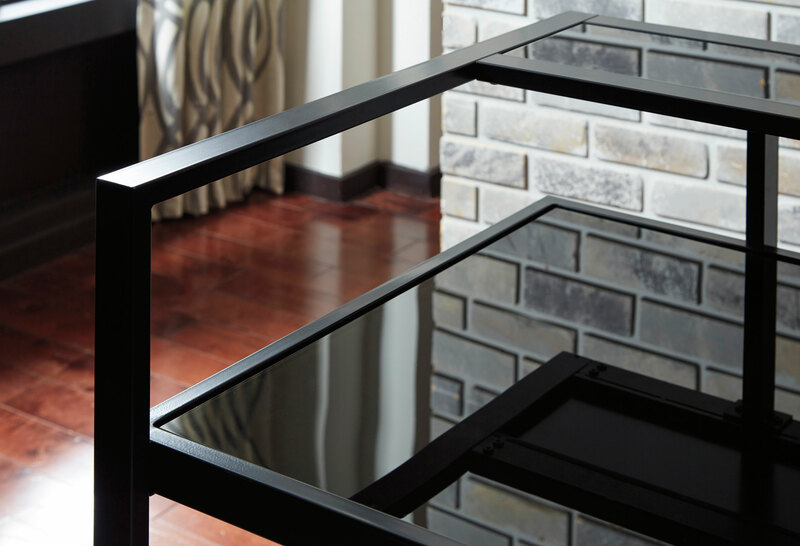 Constructed with Tube Metal and a Tempered Glass Table Top. 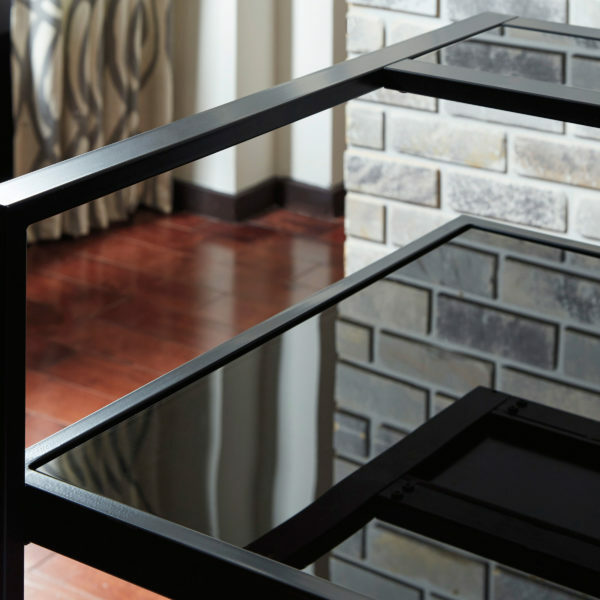 The Metal frame is coated with a Durable Powder Coat Finish in Black.